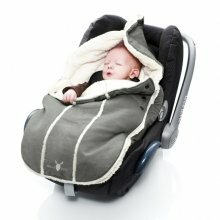 The Wallaboo footmuff is an ideal gift for a new arrival. Suitable for most 3 and 5 point harnesses systems and can be used up to 12 months or 21 lbs. 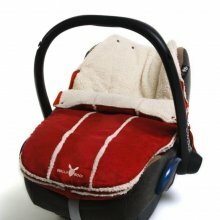 The Wallaboo footmuff is perfect in a infant car seat, pram, carrycot or a front bike seat. 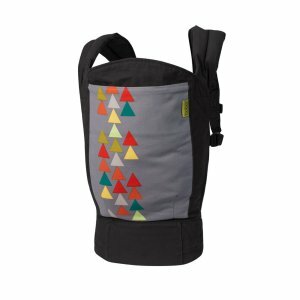 The anti-slip fasteners ensure that it stays in place, whilst the double zips mean that you can remove the top or simply fold down for easy temperature control. There is also an option to create a hood to keep your little one’s head warm. 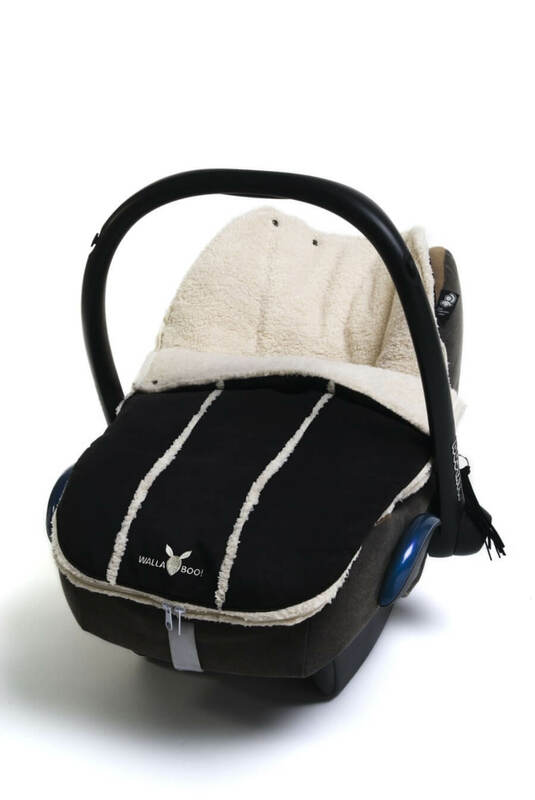 The Wallaboo Newborn Footmuff Black is made of soft Microfibre faux Suede and soft fleece. The Footmuff has windbreaking qualities yet it’s breathes at the same time. Ideal for sheltering your precious baby against the ravages of cold and windy winters, or guarding against the chill of those early summer mornings and deceptively cool evenings. 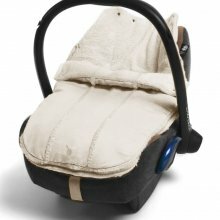 The Supersoft fleece lining of soft, warm plush shearling gives your baby a protected feeling and is unbelievably snuggly. 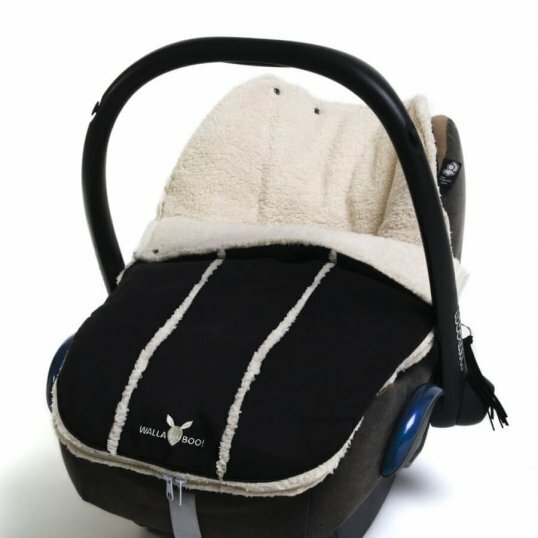 Suitable for most 3 and 5 point harnesses systems and for use up to 12 months or 21 lbs, the Wallaboo Newborn footmuff Black it is the perfect footmuff for use in an infant car seats, prams, carrycots or a front bike seat. The harness straps of your car seat are placed directly on the child to fit snugly. The anti-slip fasteners ensure that the footmuff stays in place, whilst the double zips mean that you can remove the top or simply fold down for easy temperature control. There is also an option to create a hood to keep your little one’s head warm, and a pocket for all those favourite toys. 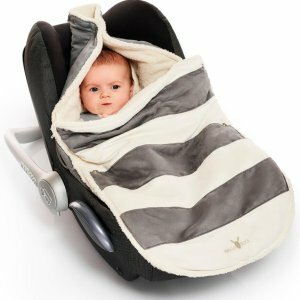 Although incredibly stylish, these Wallaboo Footmuff Newborn don’t just look good and feel super soft to the touch, they also tick all the boxes for practicality. They are very simple to use and machine washable.